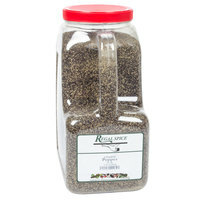 Regal Whole Black Peppercorn - 5 lb. Regal's 5 lb. container of whole black peppercorn is a versatile and delicious addition to any commercial kitchen. A 5 lb. 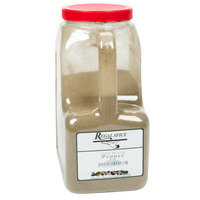 container of Regal whole black peppercorn offers a sharp, penetrating aroma and a characteristic woody, piney flavor. This spice is obtained from the dried berry of the pepper vine, and its rich, dark color will add to the appearance of your signature dishes. 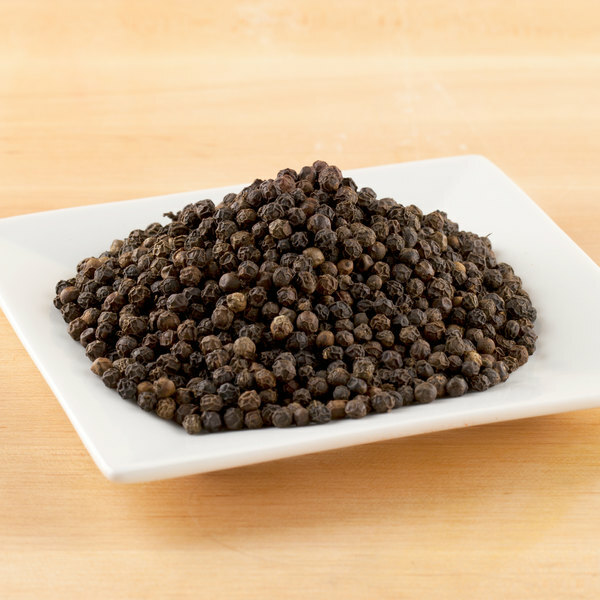 Whole black peppercorns are best suited for marinades, seasoning hearty meats, or making rich and creamy salad dressings. 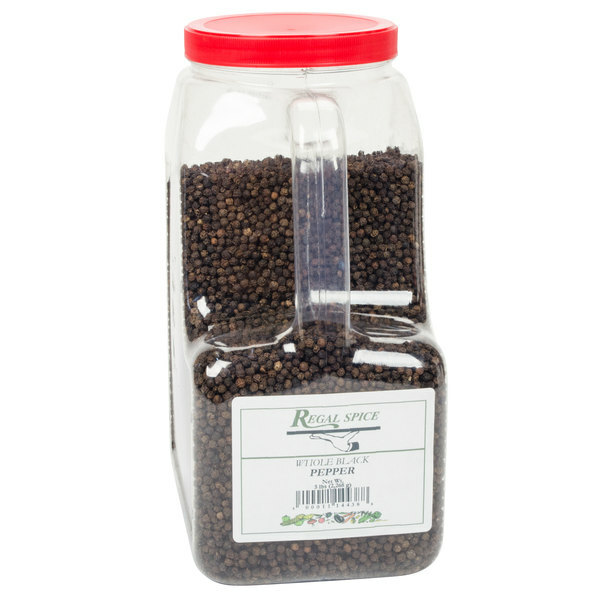 The perfect complement to salt, Regal's whole black peppercorn adds a pinch of robust taste to any dish you make at your restaurant, upscale bistro, or dining hall. "These whole peppercorns are a great quality. They are large and have an aromatic quality when crushed or ground. It is a great product that I use almost every time I cook. 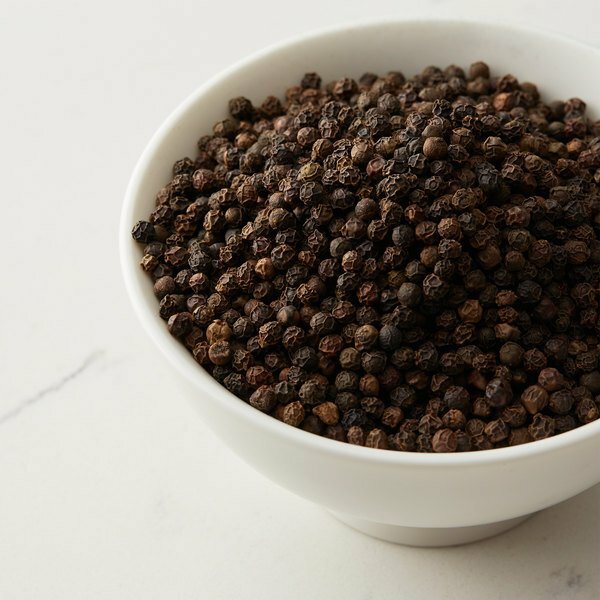 The fact that Webstaurant has this in bulk and at a low price, is lucky since I use many peppercorns for marinades,…"
100% pure Regal whole black peppercorns work well with pepper mills and grinders to deliver robust, freshly-ground flavor. You can also use these whole peppercorns to create a sachet d'epices or grind them to make coarse black pepper. Pepper is an incredibly versatile ingredient and a staple of every pantry. 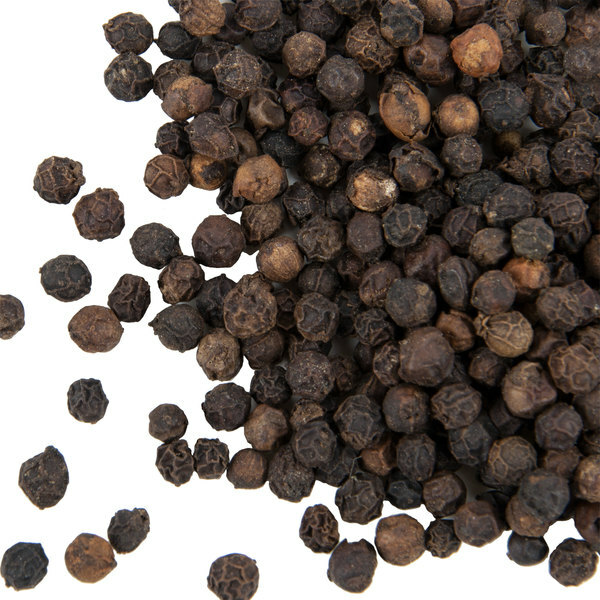 Perfect for garnishing or seasoning, whole black peppercorns are a must-have in any commercial kitchen. Because this spice is already dried and ready to go, a few shakes of the container will quickly and efficiently season your food. Dehydrated spices also last longer than fresh ingredients and are easier to store, making them the perfect addition to any busy, high-output kitchen. 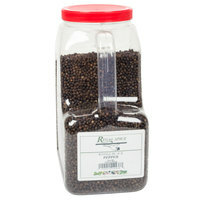 Item #: 102707726 Regal Whole Black Peppercorn - 5 lb. 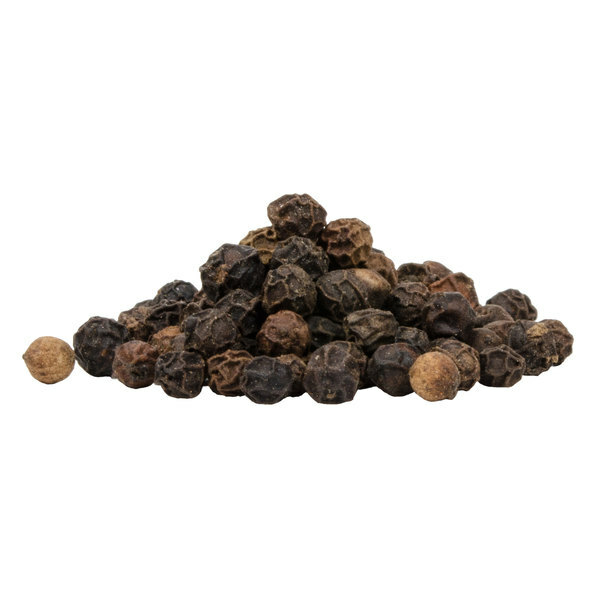 Item #: 10200108 Regal Table Black Pepper - 5 lb. 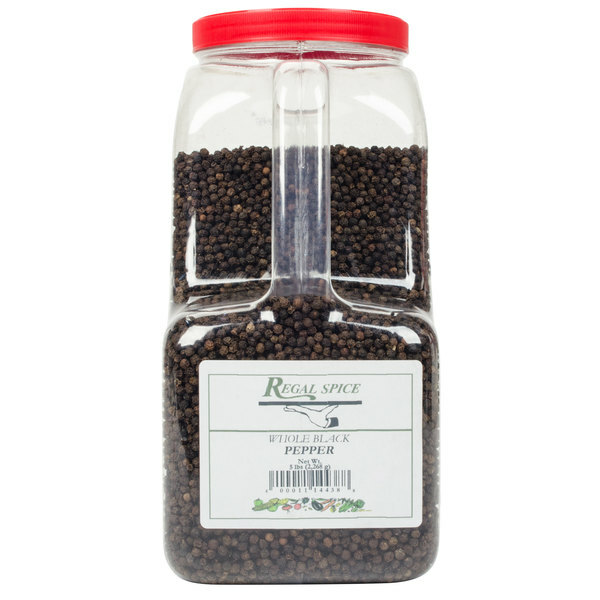 Item #: 10200504 Regal Fine Black Pepper - 5 lb. 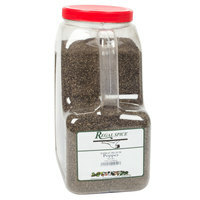 Item #: 10200481 Regal Coarse Grind Black Pepper - 5 lb. 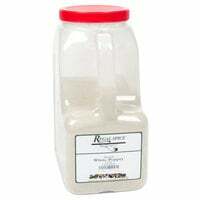 Item #: 10200124 Regal Ground White Pepper - 5 lb. Overall User Rating: Regal Whole Black Peppercorn - 5 lb. In a time where you are hard pressed to find any peppercorns in bulk for less, these do not disappoint! Try this wonderful pepper for your mill, your food and taste buds will thank you! I love this pepper. It grinds so well and has great flavors. Customers always rage about it and we will keep on using it forever! My national purveyor couldn't provide this large pack size for whole black pepercorns, and Webstraurant's pricing is just an added bonus. Very happy with the Reagal brand on these peppercorns. I use these whole black peppercorns in my large wooden pepper mill. This is a nice quality black pepper with a mild kick. I was so happy to find a large container of it like this at such an affordable price. just what you'd expect - black peppercorns. good quality and even better quantity! the price was right and the product was excellent. will order again! Love the fullness and quality of the Regal whole black peppercorns. They are perfect for adding to our grinders and are great for adding to skillet dishes. These great spices from Regal are comparable to the private labels available from your distributor, or any of the nationally recognized brands for a fraction of the price! 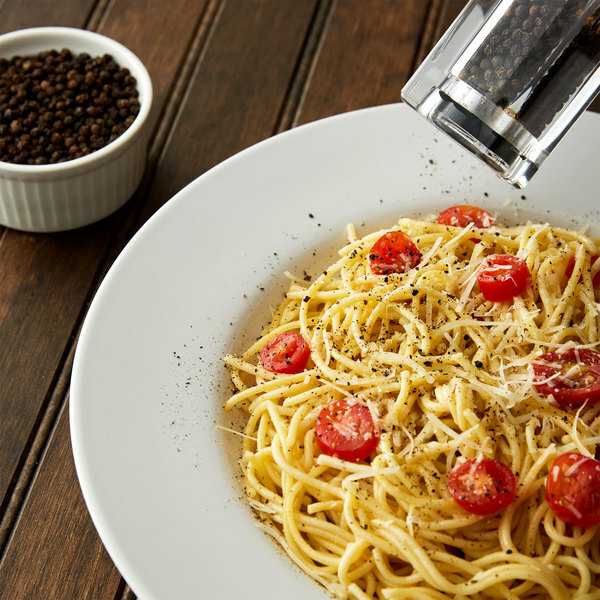 This black pepper is a staple for the professional kitchen that grinds their own pepper! These are fragrant and fresh smelling when the jar is opened. It's the best deal I've found online for black peppercorns in bulk. Solid product. My family loves pepper and i can never keep enough. i love being able to buy in this large quantity as well as the freshness of the peppercorns. I love this product, the pepper is fresh and pungent. The price is especially good! Before I found this product I was paying double this price from my broadline distributor. 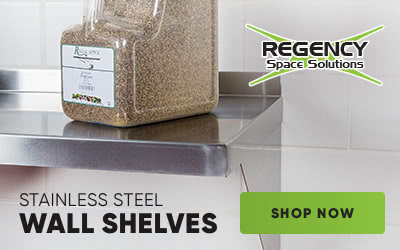 I love all of the Regal brand herbs and spices that I have bought from this website. What an amazing savings compared to my broad line distributor! Perfect peppercorns for making chai. They smell nice and fresh. Could use these in a pepper grinder as well for some fresh tasting pepper on dishes. This is a fabulous, robust and consistent product! It keeps well and is worth every penny. I can't imagine why anyone would buy peppercorn anywhere else! These are good. They work well in the pepper grinder mill. They have good flavor to them, taste like pepper. Regal foods is the go to brand for spices. This is a very nice black pepper. The taste is great and you do not have to use as much as regular pepper. People who use ground pepper do not know what they are missing. This black pepper is delicious! It's strong and beautiful flavor screams QUALITY! We have purchased other brands before and were very disappointed! NOT WITH THESE PEPPERCORNS! They are great ground up or even used in our pickles!!! We will be ordering more this week! LOVE THEM! Good flavor when used as whole pepper as well roasted or fresh ground pepper. I make a lot of homemade spice mixes and black pepper is an important ingredient in them. The 5 lb. Regal Whole Black Pepper is an amazing deal. This product grinds very nicely and lasts a really long time. Cant beat the price. These whole peppercorns are a great quality. They are large and have an aromatic quality when crushed or ground. It is a great product that I use almost every time I cook. The fact that Webstaurant has this in bulk and at a low price, is lucky since I use many peppercorns for marinades, savory cooking, and baking. Great quality Black pepper corns small size that grind very well in a manual pepper grinder or spice grinder, Nothing like the fresh taste of a fresh ground spice. A great price for a really great product! Perfect for everyday use, or when making large quantities of food. 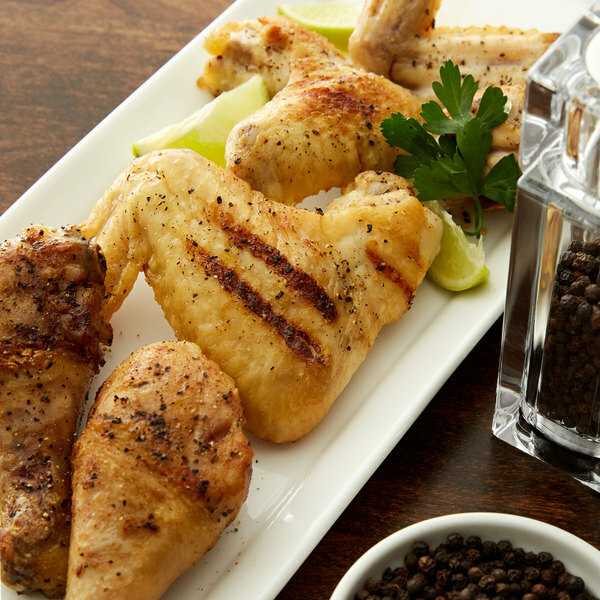 This black pepper is fresh, aromatic and fragrant! Great price on bulk whole black peppercorns. We use our waring mixer to grind pepper each day and haven't noticed any difference in taste with this cheaper product.